A great way to start off your morning learning about the letter S.....Some spider Pancakes! Today we introduced the letter S, we had fun making the sound and kaitlyn tried to name as many S words as she could come up with. We worked on our S page for our ABC Book. 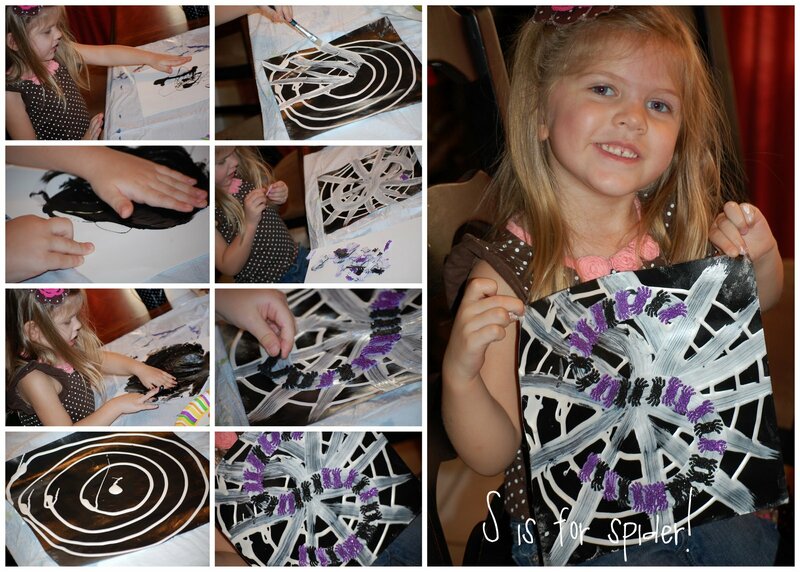 Kaitlyn fingerpainted her entire page using Black paint....and then practiced making her S's on the painted paper. 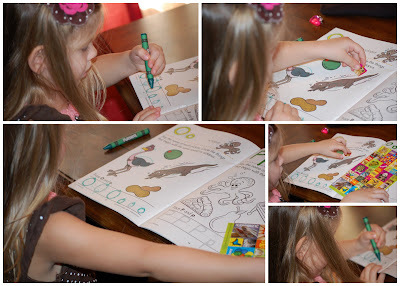 This is a fun way to review letter formations. When it dried I applied white paint onto her paper in a ring fashion ( see above) She then took a paintbrush and used it to draw her lines stemming from the center of the web. When she was done she had a spider web. I drew the letter S and then she applied some cute foamy glitter spiders onto the letter S.
The great thing about staying home with your little ones is being able to relax a little and enjoy the little stuff. Tonight while Kaitlyn played dress up....her favorite pasttime. I made a batch of sugar cookies. 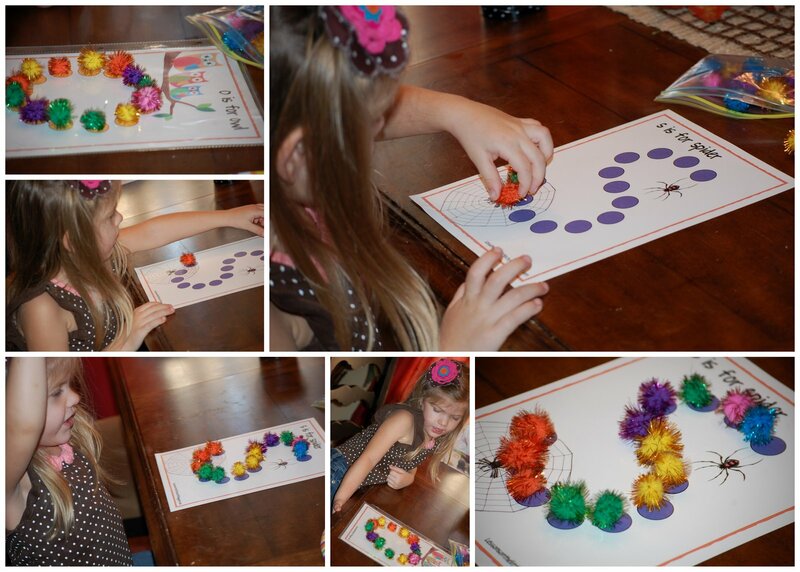 She helped me to decorate them in a most spooktacular way! We made some spider cookies. We took black frosting ( I really don't even want to know whats in that) and iced our cookies, I drew the circles using white irradescent frosting onto the cookies. Kaitlyn took a large wooden skewer and spread the icing out by drawing lines that start at the center of the cookie. When she was all done she added a gummy spider...yum!!!!! 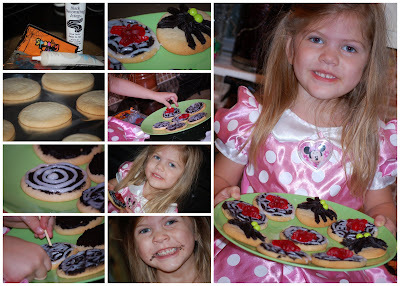 I had a few cookies I wanted to do something different on so we made spiders on them. As I drew them on with the icing Kaitlyn counted the legs making sure I had 8 on each one. Does Grandma DD get Spider Pancakes this weekend?? ?